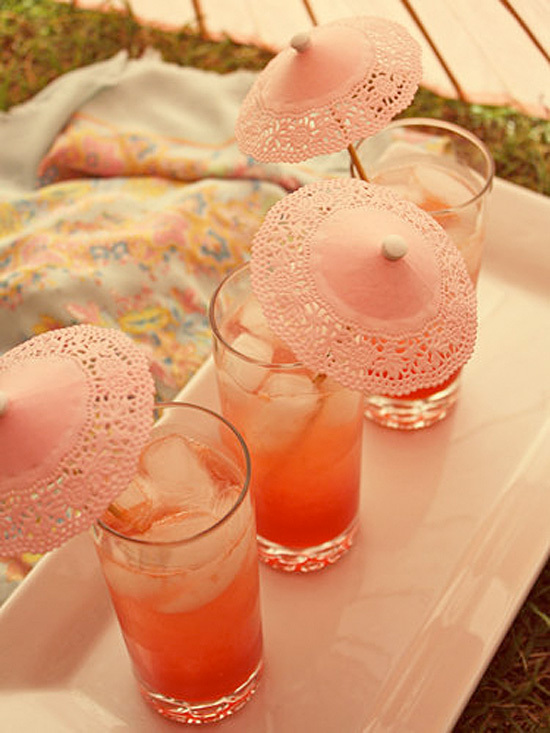 I adore these mini lace drink parasols as seen on Papermash. I've seen the common paper umbrellas, but who would of thought of using mini doilies to turn them into elegant parasols? Absolutely Briliant!!!! And, you know what the best part is? The free project sheet for these parasols is available for download from Papermash.